Today more than one and a half million children are being taught at home by their own parents. 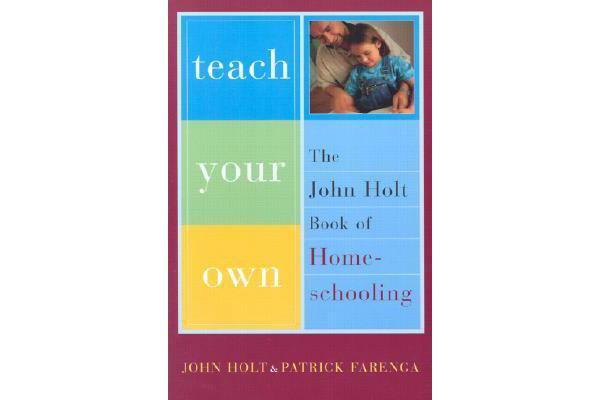 In this expanded edition of the book that helped launch the whole movement, Pat Farenga has distilled John Holt’s timeless understanding of the ways children come to understand the world and added up-to-the-moment practical advice. Rather than proposing that parents turn their homes into miniature schools, Holt and Farenga demonstrate how ordinary parents can help children grow as social, active learners. Chapters on living with children, “serious play,” children and work, and learning difficulties will be of interest to all parents, whether home schooling or not, as well as to teachers. This new edition is supplemented with financial and legal advice as well as a guide to cooperating with schools and facing the common objections to home schooling. Teach Your Own not only has all the vital information necessary to be the bible for parents teaching their own children, it also conveys John Holt’s wise and passionate belief in every child’s ability to learn from the world that has made his wonderful books into enduring classics.